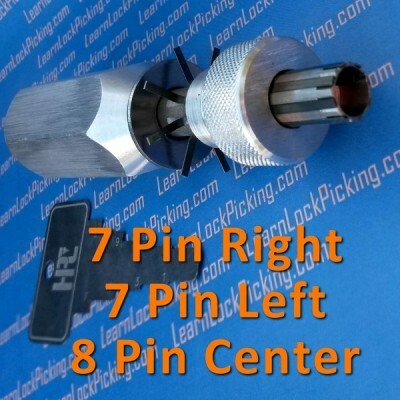 Professional Quality tubular lock pick works on 8 pin center style and 7 pin left or right offset style tubular locks. Together, these three types of locks make up the second most common types of tubular locks found in use. Precision locksmith’s tool. SKU: 8Pin-Tub-Pik-lrb. Category: Lock Picks. Brands: HPC. Tubular locks often found where higher security is needed such as high security bicycle locks, vending machines, and fire safes. Tubular lock picks come in several different configurations to work on the various configurations of of tubular locks. The most common configuration is the 7 pin centered arrangement. 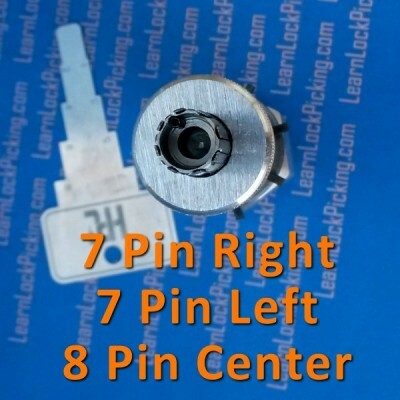 Other common configurations are the 7 pin left offset, 7 pin right offset, and 8 pin centered. 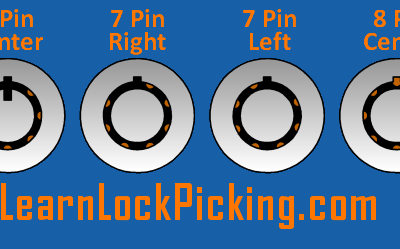 This tubular lock pick works on the 7 pin left offset, the 7 pin right offset, and the 8 pin centered lock configurations. An adjustable collar allows this lock pick to work on locks with different spring pressures. Once a lock is picked, the adjustable collar can be tightened to lock the needles in place. 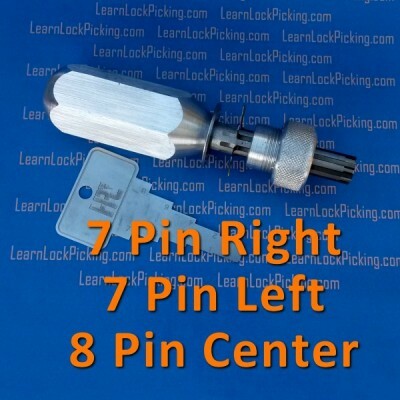 Once the tubular lock pick’s needles are locked, the lock pick becomes a working key which can even be used in a key duplication machine to make a working key for the lock. An included key decoder tool allows you to determine the “key code” for any tubular lock that you have picked. A locksmith can cut a working key from this code without needing an original key. These are not the cheap Chinese lock picks you see on other websites. These picks are professional quality tools used by professional locksmiths. Aluminum handles, stainless steel barrel, spring steel feelers, and genuine leather case.